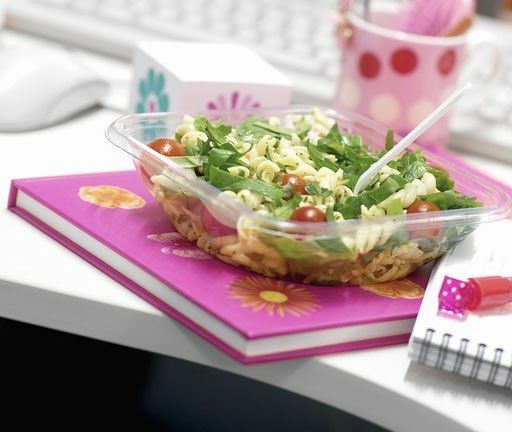 If you wish to eat healthy meals and snacks while at work, you may want to consider making your own meal and bringing it at the office with you. Whether you are a beginner cook or a pro, you may be interested to know which lunch-boxes our members are bringing to their office. Meatloaf is a great, easy lunchtime snack on its own, with a side, or even as a sandwich! A delicious, tangy salad full of protein and vegetables, for a healthy, filling lunch! Chickpeas are always a great option since they’re full of fibre and a good source of protein. This noodle dish is a fantastic gluten-free lunch option and a great way to travel with your taste buds! A comforting, homey meal but without all those guilty calories. Our baked version of fried chicken is definitely worth a try! If you aren’t already a fan of mint, this refreshing lentil salad will definitely change your mind. This classic Italian dish is a great lunchtime option and great for sharing. Have you ever thought of adding shrimp to your potato salad? You’ll love it! This healthy rice salad is perfect for lunch. It’s light, but filling and full of leafy greens. A gorgeous quinoa salad full of chicken for a filling, satisfying lunch. Your coworkers will definitely be jealous!